Members of the SKGABC Board of Directors meet monthly from September through May to work on Board projects and discuss topics of interest in the service of SKGABC members. Executive member bios are listed below. Raised on the Pacific waters of Vancouver Island, some may call Kate Hives amphibious! Starting kayaking at an early age, Kate has had a committed love affair with the natural world. Turning her passion into a career, she has worked as an outdoor educator, instructor and guide both commercially and in adaptive settings with school students and adults from around the world. A graduate of Lakehead University, with an Honours BA in Outdoor Recreation Parks and Tourism and Masters in Environmental Practice from Royal Roads University, she has continued to pursue her training in the outdoors. 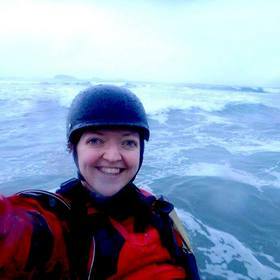 Kate has worked with Liquid Skills Kayak School and United World College in South East Asia. She is a SKGABC Level 3 Guide with Class 4 Waters Endorsement, Guide Trainer and Examiner; a white water kayak Level 2 Instructor Leader with CKC; and a Level 2 Instructor with Paddle Canada. While she travels the world, Kate remains a 'West Coast Girl' and has been returning to the BC coast for the past 15 years guiding paddlers through its western waters. Raised coastal, Sarah enjoys running in the rain, the ocean and the mountains. There is never a dull season for adventure. Sarah is a SKGABC Level 3 Guide and Guide Trainer. She is also a Paddle Canada Level 2 Instructor, ACMG Hiking Guide, Affiliate Member of the CAA and RCABC Instructor Trainer. 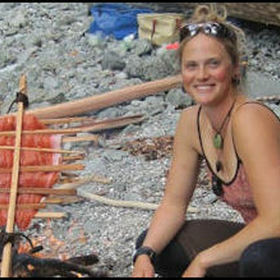 Some of the places she has guided and led outdoor programming include: Strathcona Park Lodge and Outdoor Education Centre, Canadian Outdoor Leadership Training program (COLT), high school outdoor experiential education programs (Explore, TREK, LEAP and Nootka Sound Outdoor Program), Outward Bound, West Coast Expeditions and the National Outdoor Leadership School (NOLS). 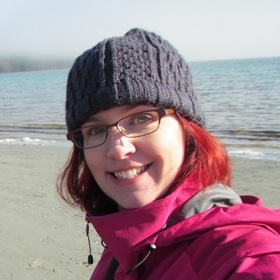 Sarah joined the Adventure Studies Department at Thompson Rivers University as a full time faculty in 2014. She coordinates and instructs in the sea kayak guide training aspect of the certificate and diploma programs, along with instructing hiking, winter camping and skiing. Sarah’s interests involve a variety of outdoor pursuits, expedition-based learning and leadership development. In addition, she enjoys working with groups to create a connection to and understanding of our natural environment. 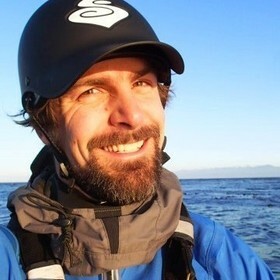 Jordie is an expert Sea Kayak Instructor and Guide and has worked continuously with Ocean River Sports since 1996. He has pursued a life long interest exploring nature along Canada’s west coast and has circumnavigated both Vancouver Island and Haida Gwaii as well he has paddled the outer passage from Alaska to Vancouver Island. 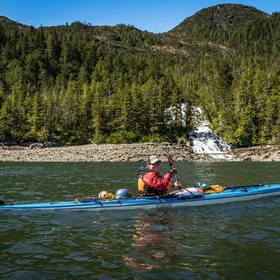 In 2018 he paddled the outer passage of the Alaska Panhandle solo from Skageway, Alaska to Prince Rupert in Canada. He is currently looking for a skilled, adventurous team mate for 2019 to paddle the Westcoast of the United States. Jordie enjoys teaching paddlers of all levels and is keenly interested in assisting students to reach their goals using innovative and engaging teaching methods. In summer he is usually found guiding paddlers in the Gulf Islands National Park and beautiful Victoria Harbour. Matt was born and raised in Victoria, BC. He has always loved being outside and this is reflected in his career choices. 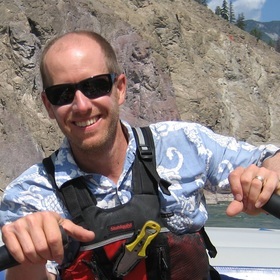 Matt has worked as a Park Ranger, Forest Fire Fighter, Ski Patroller, Ski Resort Manager, Guide, and University Instructor, and is currently an SKGABC Guide Trainer, WWKABC River Instructor, CANSI Telemark Instructor, CAA Level 1 Avalanche Technician, Paddle Canada SUP Instructor, and BCROA Senior River Guide/Examiner. Matt's personal philosophy on adventuring in the outdoors is “through adventure sports I get to connect with the natural environment – see the most stunningly beautiful places on the planet and learn about that environment by being immersed in it”. As an area of research, Matt is interested in the intersection between adventure sports, ecology, environmental stewardship, and sustainability. Matt lives on Stowel Lake Farm, an organic farm and retreat centre on Salt Spring Island www.stowellakefarm.com. Stowel Lake Farm is an intentional community and Matt lives here with his wife and three kids. He considers himself fortunate to have most of the summer off so he can spend his time dragging his kids around on different adventures. Peter Carson is the Summer Camp Program Manager, at the Vancouver Island YMCA-YWCA’s Camp Thunderbird. He has a passion for introducing kids to the natural environment and using a sea kayak for this purpose is his absolute favorite. 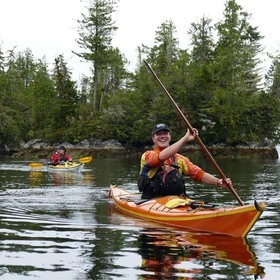 Peter is a level three Sea Kayak guide, level two Paddle Canada Sea Kayak Instructor, level 4 paddler and instructor with the Outdoor Council of Canada. He has paddled most of the BC coast from Prince Rupert to Vancouver Island with groups of kids. Peter has been a guide member of the SKGABC since 2006 and is deeply committed to the maintenance of safe ocean travel in human powered vessels on BC’s coast. In his spare time you could find Peter surfing or skiing on Vancouver Island. 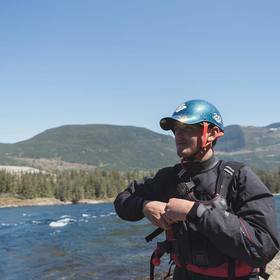 Originally from the Alberta side of the Rockies, Carter is a lifelong adventurer, thanks to the experiences provided by Camp Chief Hector and Outward Bound. Backpacking, canoeing and kayaking, he has dipped his toes in the waters of the high alpine lakes of the Kananaskis, the currents and communities along the Mackenzie River in the NWT from Fort Simpson to Inuvik, as well as the Yukon and Teslin Rivers, finally ending up falling in love with Greenland paddling, and the crashing waves of Vancouver Island. Holding a Bachelors of Ecotourism and Outdoor Leadership (ETOL) from Mount Royal University, and progressing rapidly through the ranks of the SKGABC, Carter has been the Head Guide for The University of Calgary Outdoor Centre, and is now the Operations Manager and Head Guide/Trainer for Gabriola Sea Kayaking. As both a strong paddler and an empathetic leader, Carter brings a strong sense of community and inclusion, focusing on the bigger picture beyond individual gain, inspiring passion for group success, and the betterment of each other. For more than a decade, Duncan Mack has been making his living working fulltime in the outdoor industry as a wilderness guide and outdoor educator. He loves to share his passion for kayaking with others and has worked extensively with groups of youth at-risk and people living with disabilities. Duncan now is working towards giving back to the industry by becoming a SKGABC Guide Trainer to help develop the next generation of sea kayak guides. With years experience working as the Risk Manager for an outdoor educational program, he brings a strong focus on safety and training to the Executive to help foster the mission of promoting high safety standards and industry representation. 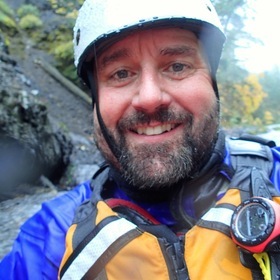 Duncan is a SKGABC Level 3 Guide, a Paddle Canada Level 2 Sea Kayak Instructor, a Kayak Rolling Instructor, Advanced Flatwater SUP Instructor, Big Canoe Leader and Swiftwater Rescue Technician. You may also find him enjoying surf kayaking or paddling whitewater when not out leading trips! 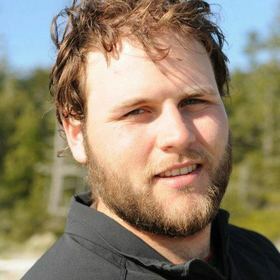 A relative newcomer to the adventure tourism industry, Finn is a graduate of West Coast Adventure College’s TALE program. He began paddling at an early age, and by his teens was pushing the limits of sea kayaking. He holds the record as the youngest person to solo circumnavigate Vancouver Island - a record he set at 17 - and has since transitioned to a career in paddlesports instruction and guiding. Finn has guided in the waters of BC from Victoria to Haida Gwaii and many places in between, as well as New Zealand. Additionally, he is also specifically interested in the conservation of pelagic seabirds, having worked alongside leaders in the industry throughout his youth. Finn is an experienced SKGABC Level 2 Guide, Paddle Canada Level 1 Instructor, and is aspiring to his Level 3 Guide Certificate. In the offseason works as the operations & logistics manager for Adventure Motorcycle BC, as well as attending VIU working towards his Bachelor’s Degree in Natural Resource Protection. Daye Cooper is an educator, clinical counsellor, SKGABC Level Three guide and in love with the ocean. For her 16th birthday, Daye's parents asked if she wanted a car. She said she'd rather have a kayak and has put thousands of nautical miles of West Coast adventure on it since. With over a decade as outdoor educator, Daye specializes in leadership development and eco-therapy programs for organizations including Strathcona Park Lodge, Island Escapades, Outward Bound, and university outdoor leadership programs. Daye holds a Bachelor's and a Master's degree in world religions and anthropology, including coastal First Nations studies, as well as a Master's in Counselling. Celestial navigation is a growing passion, as there is a vast richness of information on location, orientation, time, season, and meaning available to us in the skies. An active volunteer in Restorative Justice and crisis support work, Daye brings both compassion and play to her work with nature connection, personal growth, and technical skill building woven in to every paddle.